The summer is here and you are wondering what to do or what your children should do while they are out of school. Make good use of their time off by enrolling in this year’s USPA Summer camp programs. There is sure to be a program that is right for your child. The summer camp is suitable for teenagers aged from 11 to 22 years. It consists of taking part in different programs that one may enroll in, such as acting, television, theatre, musical, digital media and dance. The camps give passionate and talented students a chance to improve their craft. They get trained by the best professionals who are comprised of the professional faculty of the university and college department where the camp is taking place. There are also guest professionals who are experts in their field. The students also get a chance to see and be seen by their potential future college. The summer camp programs last from one week to three weeks, and a student can attend more than one program in a summer and also attend more than one campus. This is an opportunity for the student to not only refine their art skills but also to experience college campus life, make friends, have fun and achieve personal growth and development. Below are some of the summer camps that take place. The camp allows you to take part in your favorite acting genre and learn more. The genres are acting for stage, acting for camera, comedy, solo performance, television sitcom acting and voice acting. If your interest is to learn more about dancing and to try out a new genre, you can enroll in a dance camp. This will allow you to learn various dances, such as modern and contemporary dance, jazz, musical theatre dance, choreography, improvisation and different performance styles. These focus on theater and digital media in areas such as animation, computer animation, college audition workshop, costume design, NYC survival boot camp, sitcom writing/ producing and solo performance. These camps train students on how to explore and use technology to create compelling characters and stories. It will enable you to create stories that touch audiences, entertain and change lives. This program is in areas such as digital film, HD filmmaker’s workshop, play writing/ screen writing, sitcom writing and solo performance writing. 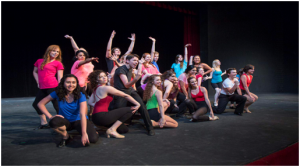 Be the true ‘triple threat’ by attending the musical theatre camp. The training focuses on areas such as acting, Broadway/ musical theater conservatories, dance for musical theater and voice. Next articleBackyard chicken series part one: They had me at hello.